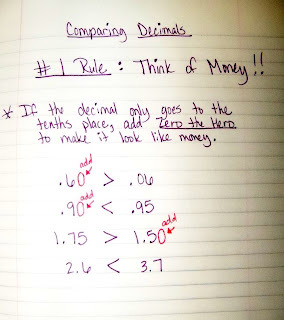 As we think about decimals, we really try to make them look like money. After all, the kids have been working with money since about 1st grade, and will continue to use it their whole lives! 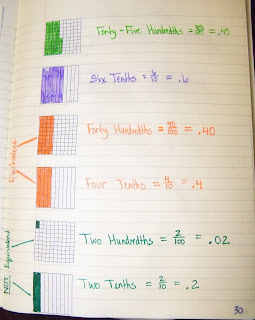 We began our lesson on comparing decimals by simply coloring pictures of different decimals. 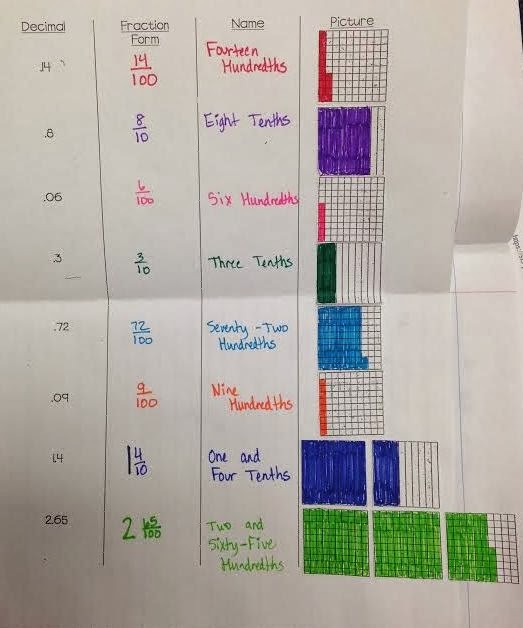 When we got to forty hundredths and four tenths, the kids noticed they both cover the same amount of space. 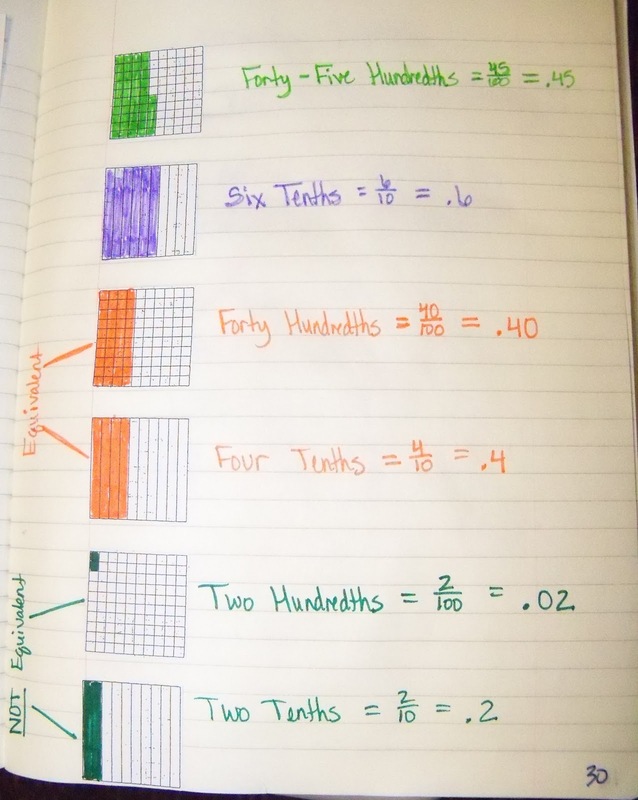 After we wrote the decimals in fraction form, the kids could really see why they are equivalent - because 4/10 and 40/100 are equivalent fractions. This lead into our discussion of Zero the Hero! When our decimals only go the the tenths place, we can add him in the hundredths place and it doesn't change the value. 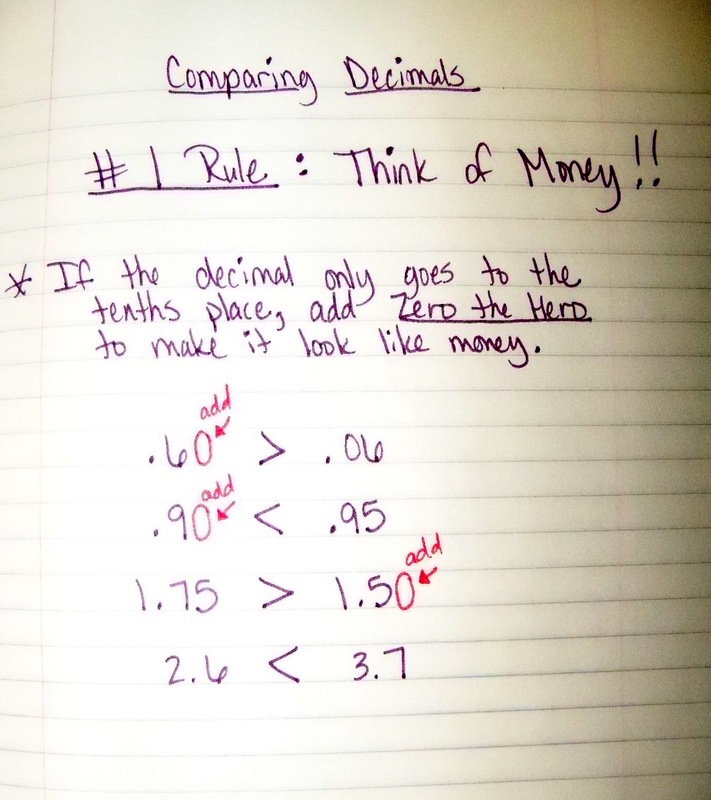 He can help us see the decimal as money, and he will also help us as we begin adding and subtracting decimals next week!